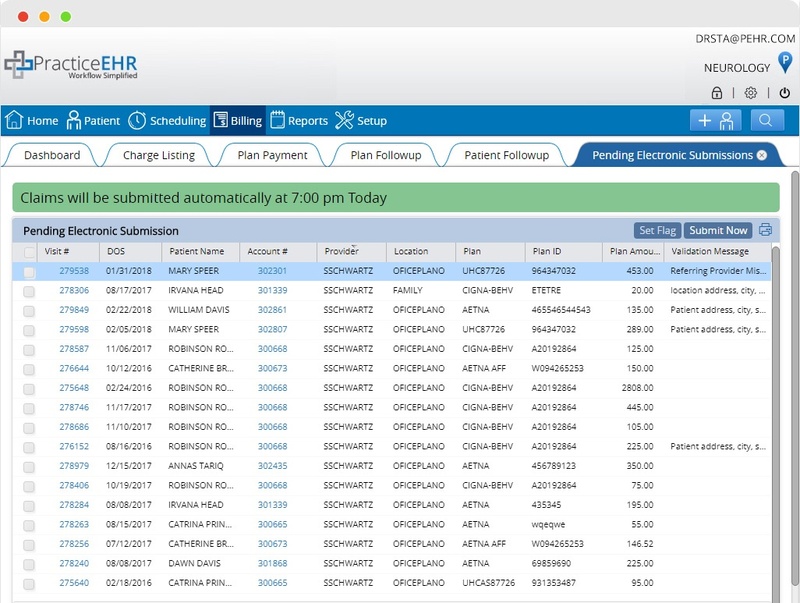 Practice EHR practice management automatically submits the claims via included and fully integrated clearinghouse (EDI Simplified). Un-limited and automated claims submissions. Seamlessly submit claims to over 2,000 nationwide insurers including private and government. Quick and easy payment posting to the patient accounts. Clearinghouse services included with full transparency.